An immaculately interior designed one bedroom lateral apartment on the third floor of the landmark building, One Hyde Park. The apartment boasts iconic views to the south over Knightsbridge and provides accommodation comprising a generously proportioned reception room, kitchen, bedroom, a stunning bathroom and guest cloakroom. The apartment has one allocated underground parking space and a temperature controlled wine store. 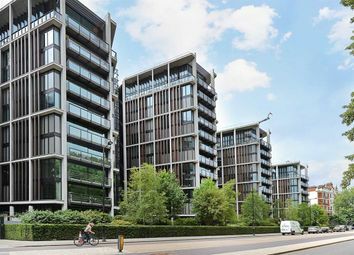 One Hyde Park is Candy and Candy's flagship development designed by Rogers Stirk Harbour Partners. This contemporary landmark building features the very finest facilities and staff in London including a wide array of amenities; valet parking, 24 hour security, concierge, business suites, private cinema, entertainment suite, virtual games room, spa, gymnasium, swimming pool, squash court and chauffer driven house car as well as the amenities provided by the adjoining Mandarin Oriental Hotel. The building forms the very heart of Knightsbridge with the open spaces of Hyde Park to the North and a world class selection of shops and restaurants on the doorstep.